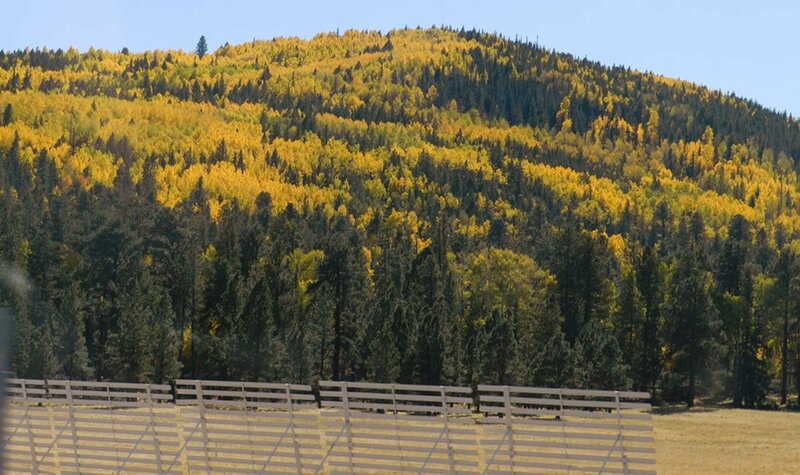 Cool mountain air, crisp mornings, and delightful fall colors of bright reds, yellows, and oranges make the surrounding mountain scenery light up in ways you have to see to believe. As the leaves cascade around, you’ll be treated to the fresh aromas of the season and relish the comfortable atmosphere. 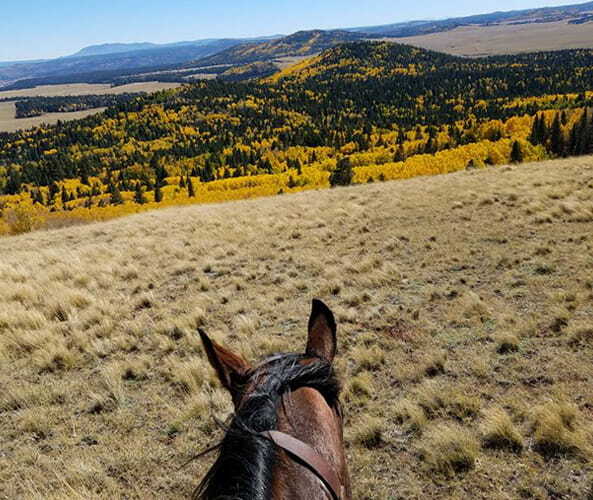 Fall Season is by far the best season to trail ride in the Apache-Sitgreaves National Forest. 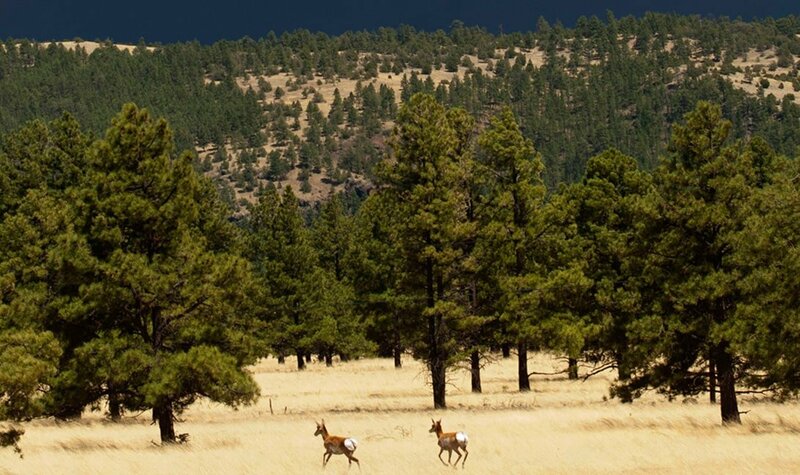 This photo taken by Kym Johnson, owner of X Diamond Ranch, captures how gorgeous and atmospheric this time of year is in Greer, AZ. While the hubby may be missing out on his cherished football, he’ll delight in the plentiful trout that fill the ponds, rivers, and streams around our mountains. With a robust maintenance of stock levels, your chances of getting some good catch are never higher than in fall. 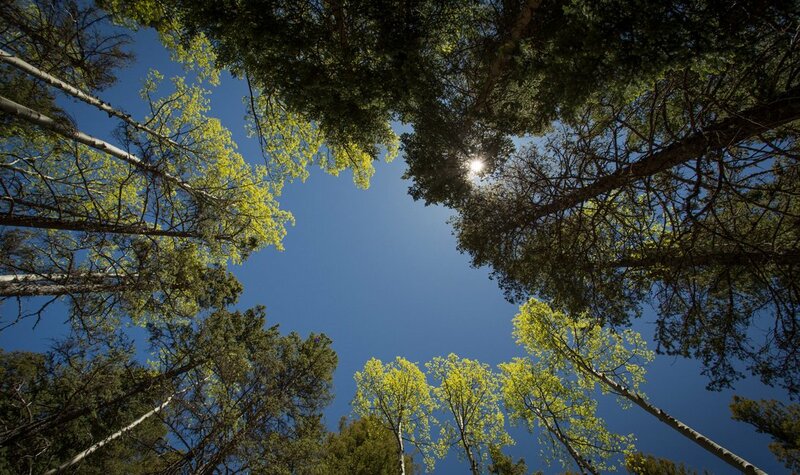 With nature stretching out endlessly on every side, you’ll be sure to find many beautiful hiking trails to explore. 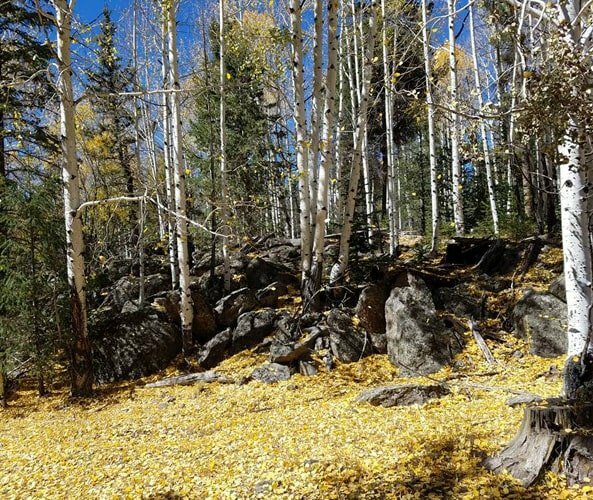 Here are 16 free hiking maps of the White Mountains to guide you on your way. You can expect to get your “fall” fill of animal sightings in and around Greer. Chances are you’ll find wild turkeys, deer, elk, raccoons, squirrels, antelopes, and perhaps even bears roaming through the wilderness. 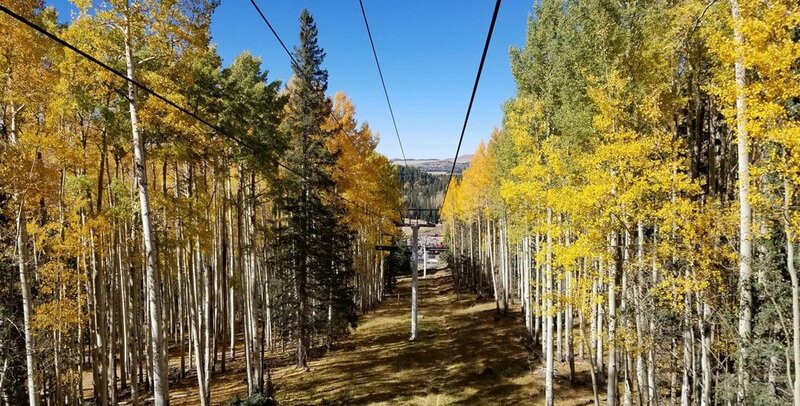 While not yet a winter wonderland in fall, nearby Sunrise Ski Park offers visitors a chance to take is some incredible views upon their chairlift. Definitely take advantage of this unique way to experience breathtaking views, especially if you’re not up for a serious hike. 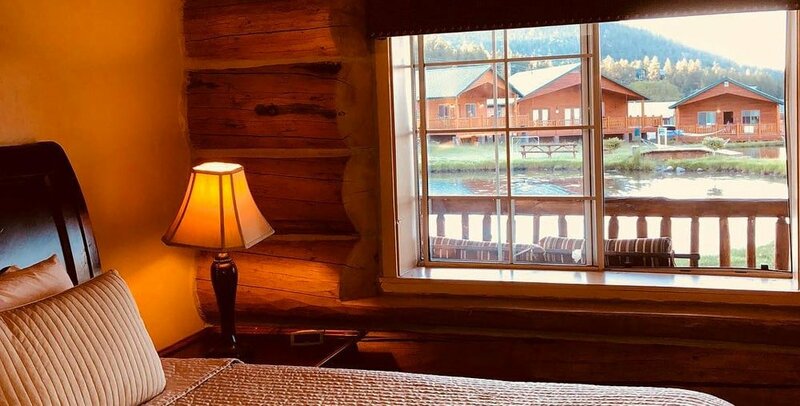 Greer Lodge Resort & Cabins recently updated our log motel rooms into spacious cabins to provide guests with the best comforts and amenities as they indulge in all of Greer’s offerings. Enabling large groups and families to relax and enjoy the company of each other under one roof, these brand new cabins are both welcoming and charming. The evidence is mounting: spending quality time outdoors is essential to maintaining good health. Benefits are far reaching, improving focus, creativity, the immune system, vision, and reducing depression and fatigue. Simply said, get outside! 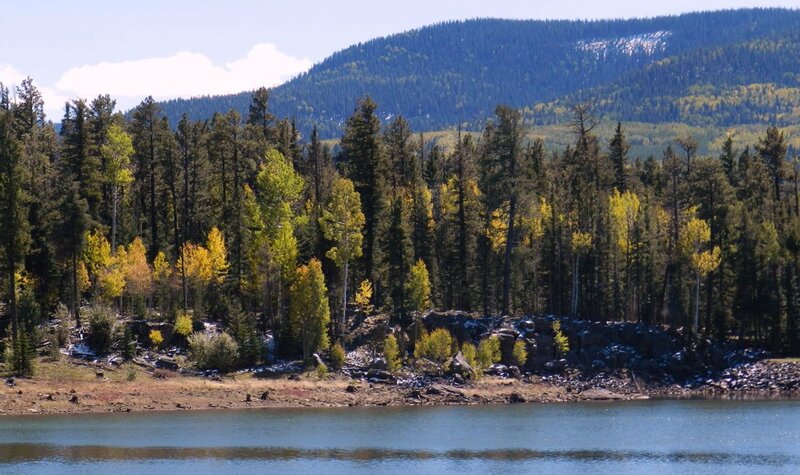 In conclusion, the time to book is now for fall cabins at Greer Lodge! We are currently offering a 20% discount on our rack rates on all cabins and rooms for Sunday-Thursday night stays between August 5 through October 20th, 2018. This is a great deal that doesn’t come around often, and is perfect for those seeking to enjoy the fall foliage (which is best between late September and late October). As you’ll soon see, Greer in the fall is an absolute paradise for photographers and nature visitors so book your stay today!